The Swallow is a Class of training fighters. 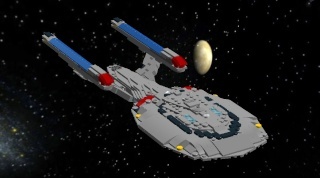 While built by United Star Fighters Incorporated and operated by the Federation, the Swallow is painted in neutral white, and for weapons it is armed with only two Sparkle Torpedo Launchers. Some variants are also equipped with laser cannons, so that the the trainees can train with energy weapons. 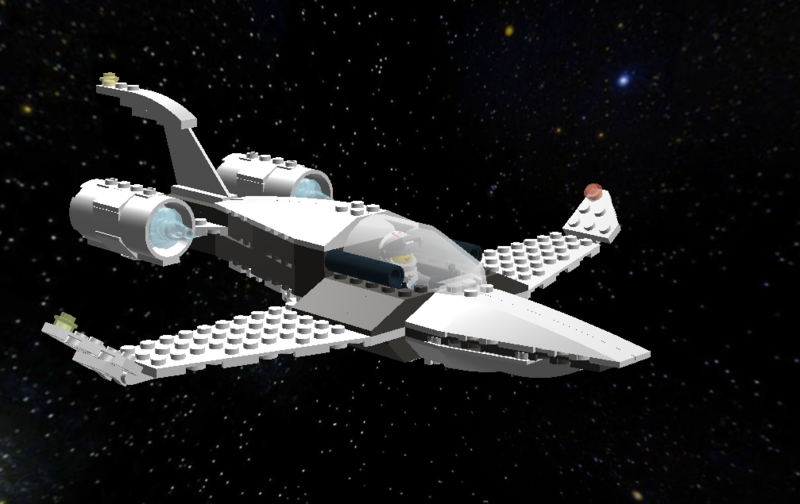 The Swallow is very light, so its handling is very responsive and easy to control, while maintaining the "Star Fighter" feel of Star Force's other standard fighters. The Swallow's two engines also provide some nice acceleration. I like it, a nice good little sleek craft, perfect for training...unless you're training on gunships, which don't move as fast. NICE! That thing looks like a DREAM to fly! I would actually suggest ADDING a type III phaser to this thing (AKA, a rifle mounted to a fighter) to help train with beam weapons use. Other than it being UNDERARMED (I had to pick at you just a bit on it ) she's a sweet looking little fighter. Looks perfect for hotroding, racing, and stunts... so sleek and graceful... great job! Yeah, it probably would make a pretty nice platform for modifications.... if it was available for civilian use. A civilian Star Phoenix does exist, though. It looks like it woudl make a good short-notice close-air support, like the ones that flew cover for downed pilots in Vietnam...I forget what they where called but I know they where prop-driven, and loaded with lots of missles. I think they where bi-planes as well...not sure though. but basically it's simple, light, small, scarbles at a short notice and procides close support and survalliance, also kinda like the Cessane O-1...funny, I though it looked kinda like a Cessana (newer one) when I first saw it.